When we moved house, we needed a new sofa. Rather than blowing the budget on brand new furniture, I kept an eye on the small ads on the noticeboard in our local Co-op. Sure enough, we ended up with a virtually immaculate sofa bed, thanks to an older lady who was downsizing to a smaller house nearer her daughter. Unfortunately since our children have been unleashed on the sofa, it is now somewhat less immaculate. Small fidgety fingers discovered a small hole on the sofa arm and made it larger. The good news is that the fabric is a recognisable William Morris print, so I figured I could get hold of some new material and do a quick patch. Hurrah! 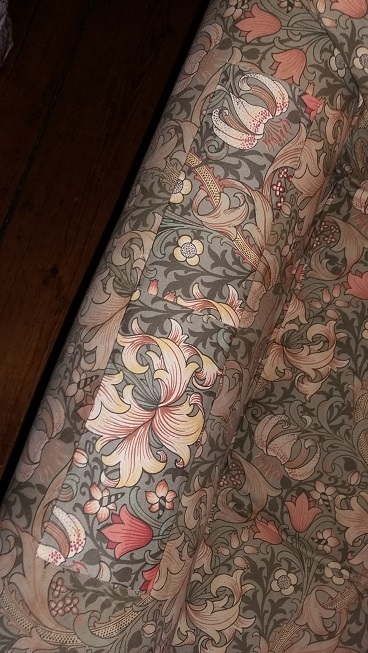 The bad news is that the fabric is a recognisable William Morris print, so buying a metre of cloth was going to cost more than we’d paid for the whole sofa. Rats. Helpfully however, it’s possible to get hold of fabric samples for a token payment for postage and packing. After squinting at websites and messing around with a ruler to measure the hole, I ended up ordering a sample square of Golden Lily Minor, in the entertainingly named artichoke and vanilla colour combo. When I finally got round to attempting the repair, I cut the square in half and sewed the ends together to make a long strip, big enough to cover the now distinctly larger hole. Blame my sister for the cow hide pattern ironing board cover. 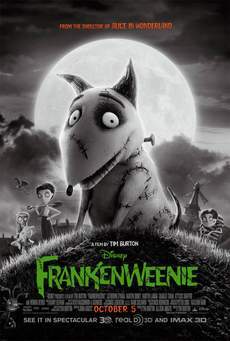 I cobbled together the original fabric as much as possible, which left the sofa looking like something out of Tim Burton’s Frankenweenie. Massive stitches, only slightly less ugly than the original hole. Spot the difference: stitched sofa, stitched dog. Finally I sewed the new patch on top. Ta dah! A couple of episodes of the Big Bang Theory and some 8 out of 10 Cats later, and the sofa has a new lease of life. Sofa, patched. 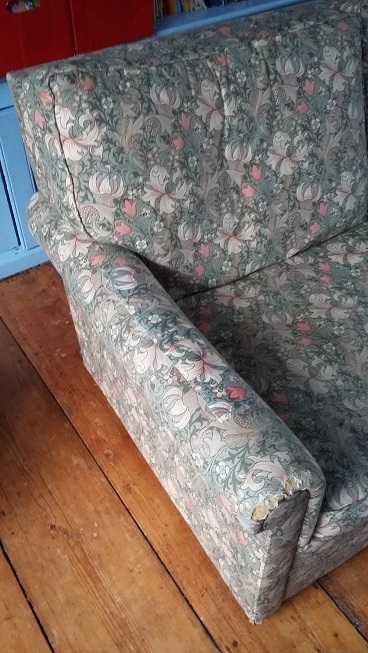 Lucky it’s less obvious on a vigorously patterned sofa. 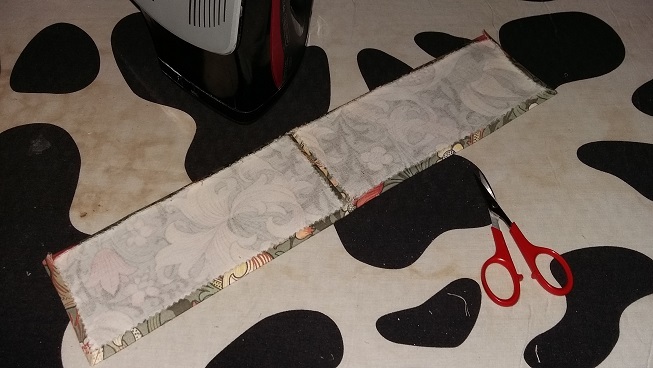 With the limited material available in a sample square, I had to abandon any attempt at pattern matching. 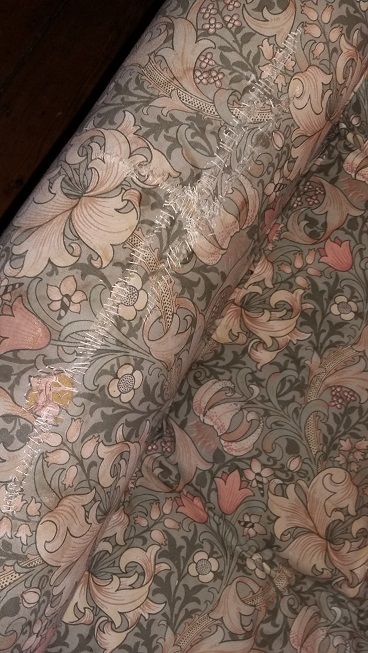 The new material is also brighter and less faded than the rest of the sofa. However, my rough and ready repair isn’t too obvious amidst the riot of pattern, and looks so much better than the gaping hole. Cost of postage for sample fabric: £3. Cost of general smugness as finally repairing the sofa: priceless. Well done. We have had quite a few people into the charity shop over the past couple of months looking for antimacassars and arm caps for chairs. Good to see people making things last longer. Thank you! I'd hate to contribute to landfill with what is otherwise a perfectly good sofa, and the hole certainly didn't justify recovering the whole thing. You've done a cracking job there! I saw a settee upcycled by Sarah Moore where she made a completely patchwork settee – it looked amazing and had 'on purpose' stitching. I think she has a website – you might like to take a look?